Hezbollah leader Hassan Nasrallah claims the West was responsible for the establishment of the Islamic State jihadist group. Hezbollah leader Hassan Nasrallah on Sunday claimed that the West was responsible for the establishment of the Islamic State (ISIS) jihadist organization, and declared his fighters would remain in Syria until victory is achieved. "Friends of the United States in Lebanon, friends of the United States in the region. Your friend the United States and your friend Hillary Clinton said that Saudi Arabia and other countries operating in its name are those who financed the activities of ISIS in the region, helped it, strengthened it and made it easier for it,” Nasrallah said in a speech, according to Channel 2 News. Nasrallah’s remarks are in line with past comments. In August, he agreed with Republican presidential candidate Donald Trump’s assertion that President Barack Obama had founded ISIS. 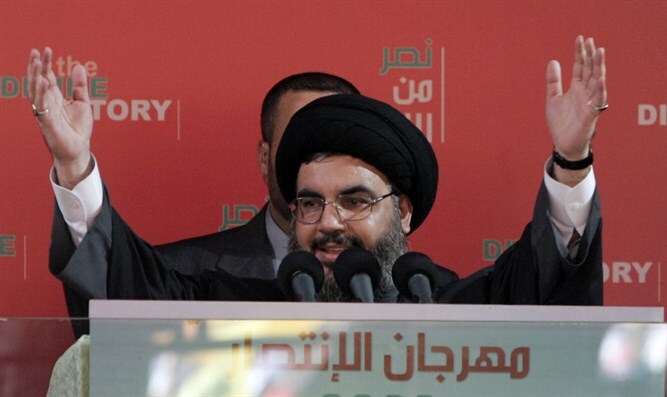 On Sunday, Nasrallah further stated that Hezbollah’s fighters will remain in neighboring Syria until they achieve the final victory over foreign-sponsored “terrorists”, reported Iran’s PressTV. Hezbollah, which is backed by Iran and is a supporter of Syrian President Bashar Al-Assad, has suffered heavy losses in Syria. "Our choice of going to Syria was very well studied after observing the regional developments that began in Tunisia and reached Syria," he said, adding, "Time has revealed that the battle in Syria is aimed at making existential changes on the ground as well as to the political map of the region." “We will continue this battle until the end, and we are proud of our martyrs in Syria, and whoever bargains on our tiredness will lose,” added Nasrallah. He claimed that Hezbollah fighters were not ordered by any third party to play a role in Syria, but rather entered the neighboring country following a comprehensive and extensive analysis. The Hezbollah leader stated that the Syrian rebels not only aim to topple the government, but also intend make changes to the demographic map and borders of the region in order to uproot certain groups of people.